This sleek and stylish design Concealed Shower Set is a part of Bella range, from the house of Tre Mercati. 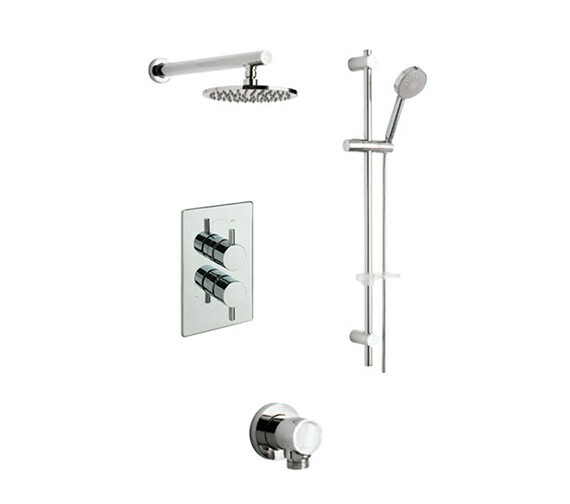 The beautiful kit with a glamorous chrome finish is the perfect addition to any bathroom. The 2-way diverter valve includes lever handles and features thermostatic technology to protect you from scalding water. 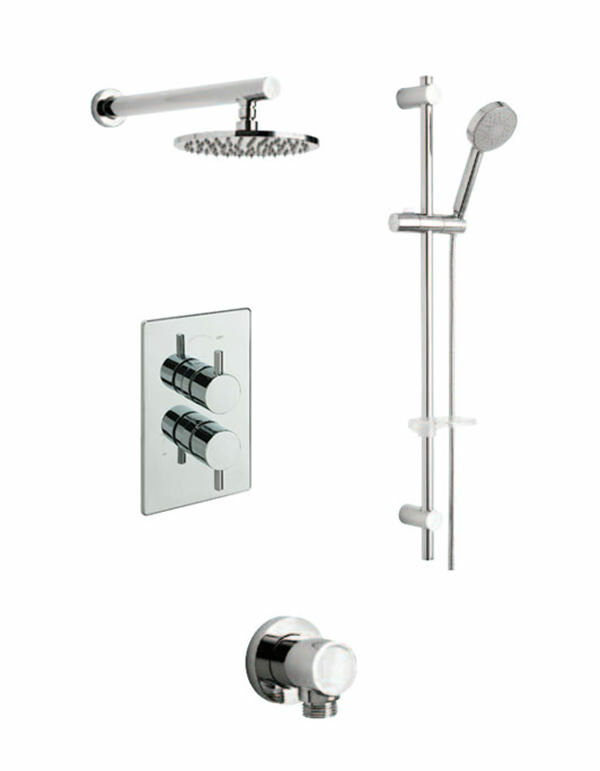 In order to make your showering more enjoyable and relaxing the set incorporates slide rail kit, wall outlet, overhead arm and rose.Enjoy an economical price thanks to QS Supplies amazingly low rates.